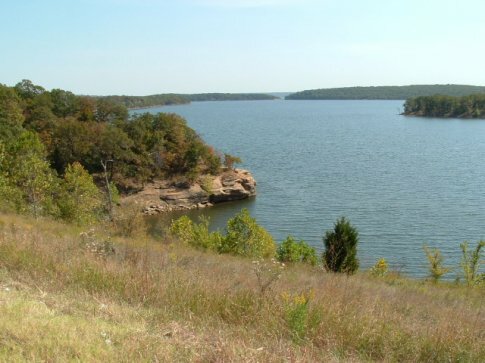 Nestled in the natural beauty of Osage County, the Crystal Bay Marina & Resort in Skiatook provides a peaceful setting to enjoy the over 10,000 acres of water and 160 miles of shoreline at Skiatook Lake. The family friendly, full-service marina features covered docks, sailboat and personal water craft docks and offers fuel and a convenience store to restock on all those little necessities before hitting the water. Get on the water even quicker by staying at one of the marina’s cottages. Each of the one or two bedroom cabins faces the cove and comes furnished with a mini kitchen and outside propane grill. Hours are posted for summertime. Boat Slips (covered - no lift): from $140 per month While every effort has been made to ensure the accuracy of the pricing listed above, prices are subject to change without notice. 13 miles West of the State Highways 20 and 75 junction to Crystal Bay Drive. Then South 1 1/8 miles to the marina. View 360 tour of the Crystal Bay Marina and Resort.